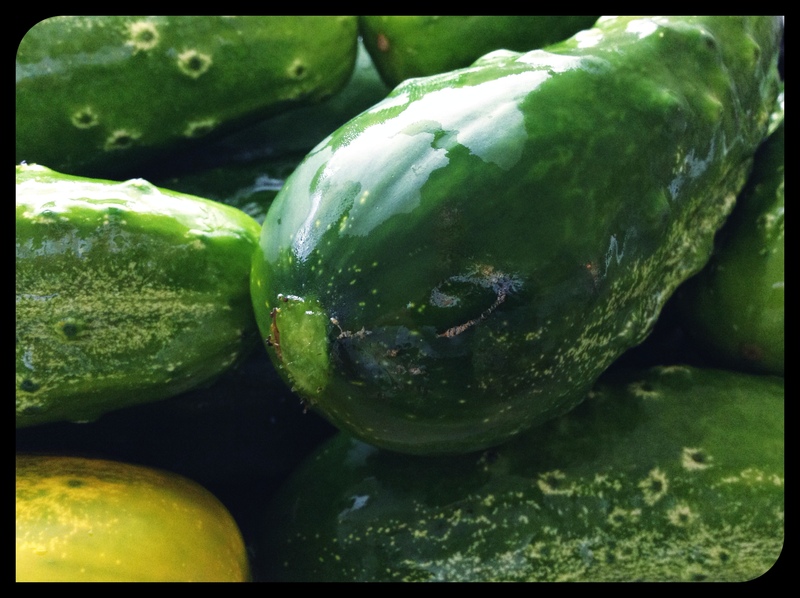 Wash the cucumbers, remove stems and fit them into the sterilised jars. Add the onion rings, dill, carrots, cucumber slices and spices to the cucumbers. Bring the vinegar, water, salt and sugar to the boil. Pour the hot brine into the jars of cucumber and spices then seal immediately. Put the jars into a large pan full of water at 80 degrees C and sterilise for about 20 minutes on the stove. The jars should be covered by at least 3 cm of water.